1. What are useful products? It’s really important to answer this question for yourself. After all, the wording “useful products” is rather blurred. What are they for you? Usually, useful foods are natural, delicious food without admixture of any “E”, GMO, harmful fats and carbohydrates. Agree, it clearly does not fit Snickers and frozen pizza. Therefore, we will talk about natural food in the spirit of “proper nutrition”. The most useful are, of course, organic products. In theory, they are grown according to all norms, do not contain pesticides and are just perfectly useful. But, if you buy an organic carrot in a supermarket that is wrapped in a plastic container, then, sorry. You buy a plastic carrot. Since organic products and packaging must be organic. Pay special attention to this. 3. And how else can I understand that the product is natural? Read the labels. In an ideal world, the manufacturer must indicate all the ingredients of his product on the label. Of course, not everyone does it. Therefore, it is worth to be extremely attentive and still read the labels in order to find something suspicious in them. 4. What should I eat to be useful? List the menu. And it is better to consult with a nutritionist. With its help, you will be able to create a maximally useful diet and pay attention to the most useful products. This is very important if you want to eat right and useful. 5. How to find the right eco-product? Many often misunderstand the wording of “eco”. Eco-products are those that are grown in a natural environment, without greenhouses and pesticides. Animals that died without violence. Of course, these are very useful products. Therefore, you can “nag” on them, but without fanaticism. 6. Products with vitamins, they also need to eat? Very controversial issue. In any product, there are vitamins and minerals that are absorbed by the body. Therefore, you can simply eat fruits and vegetables, lean on eco-friendly protein and will not bother with the amount of vitamin in your meal. 7. What kind of bread should I choose? “Whole-grain” is very useful, is not it? It’s also a controversial issue. Especially in our realities, where labels and names are not particularly regulated. 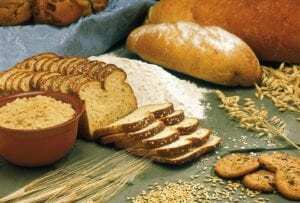 And the benefits of whole grain bread are also controversial. It’s kind of useful, but useless, like any bread. Therefore, better just do not strongly persist with bread, okay? 8. I’m confused, how to choose a useful product? Look. When choosing a healthy food, pay attention to the content of salt in food, on forms of sugars (you also remember that on the label components are listed in descending order). When choosing bread, give preference to rye and wheat flour, coarse rice. And everything will be fine with you. The main thing is to love yourself and your loved ones.